In the coaching world ,where turnover is frequent and the need for flexibility and an eye for talent is needed, especially in the Metro League, Beaverton High School isn't standing pat. Beaverton Athletic Director Mike Blok is taking an aggressive approach to the hiring process, filling three vacant girls head coaching positions with a trio of successors who hope to spin their respective programs upward. Girls basketball coach Kathy Adelman Naro, girls soccer coach Jennifer Hull and volleyball coach Becci Harper were all appointed by Blok and Beaverton this offseason to keep the Beavers squarely in the thick of Metro and postseason play. "We know these three individuals will continue to move our athletic programs forward in a way that continues to honor our rich traditions and legacy," Blok said. "Each of these individuals brings a commitment to foster excellence in our programs; a dedication to maximizing the potential of every student-athlete, and a deep understanding of the role athletics can play in shaping the character of student-athletes," Beaverton High Principal Anne Erwin said. 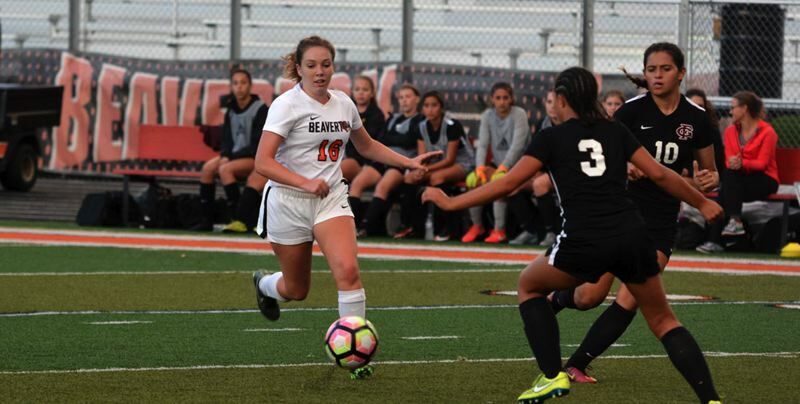 Of the three new hires, Adelman Naro is a name widely known throughout the Beaverton area for her past exploits coaching the Beavers' archenemy. From 1993 through 2009, Adelman Naro compiled a 292-72 record with five Metro championships, four Metro runner-ups, and playoff appearances 15 out of the 16 years at Jesuit. On average, that's nearly 19 wins a season. "Coach Naro is an excellent teacher and role model and has proven that she creates relationships with athletes that stress academics, moral character, life skills and basketball fundamentals," Blok said. "Kathy is recognized as a positive, talented, caring and professional coach." 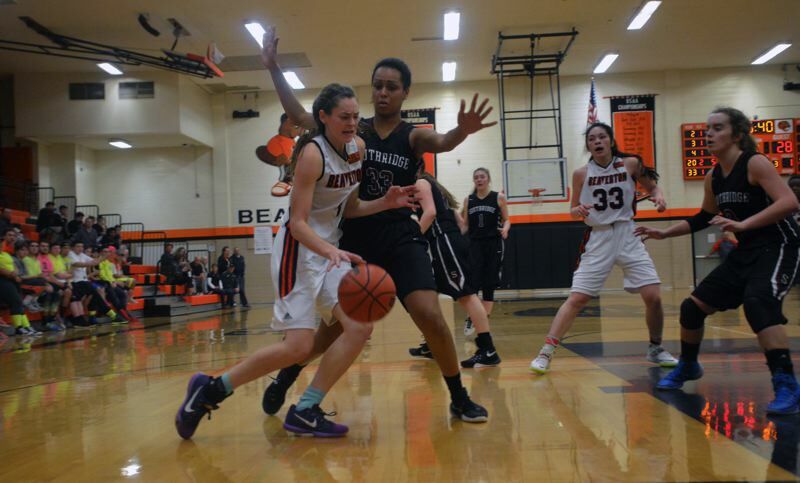 As is the case with any public school, Beaverton is prone to the perils of cyclical talent. From year to year, Beaver teams look different and talent levels differ whereas Jesuit consistently field playoff-caliber squads. Under former head coach Jay Ego, Beaverton ran off five straight 20-win seasons and two Class 6A state tournament appearances. Yet, when that core talent graduated and Ego stepped down, Beaverton won seven games combined the past two seasons due to a reliance on young players who were still adjusting to the varsity level. Still, Adelman Naro is slated to have 11 players coming back into the mix in 2017-18, including rising senior Cierra Speck. "She demands your best every day and as a result, gets the maximum out of you on the court, classroom and as a person of character," Erwin said. "We are excited to welcome one of the most outstanding coaches in the state of Oregon, Coach Naro, to our BHS family." Hull holds an expectedly opulent vacancy as the Beaverton girls soccer coach. The Beavers are coming off an 11-win season in which they knocked off crosstown rival, Southridge, — the No. 1 team in the state at the time — in the second round of the playoffs before falling to West Linn in the 6A quarters. Beaverton has made it to at least the first round of the postseason the past four years. With rising seniors Natalie Perkins, Makenna Blix, Megan Harrington, Maya Udani and Annie Wahlin, amongst others, slated to return this summer, Hull inherits a seasoned, talented squad. Prior to taking the Beaverton position Hull coached at various levels. She was recognized as Oregon Player Developmental Thorns Coach of the Year 2016; and won two state championships with OES as an assistant coach. "Jen has a passion for the game and brings expertise in Soccer," Blok said. "Ms. Hull is a dedicated member of the BHS faculty as a veteran Spanish teacher at BHS." Hull has been coaching soccer since 2004. She has experience at the collegiate level as a player at Seattle Pacific University. "Jen forges strong relationships with her students and creates a dynamic sense of community in her classroom. I know she will do the same for our soccer program," Erwin said. "Coach Hull is excited to continue our tradition of excellence in women's soccer at BHS." Harper brings a wealth of varied experience as a player and coach to her role as the BHS volleyball coach. She has state and national awards at the high school and collegiate levels in multiple sports, including javelin, basketball, and volleyball. Harper made her mark in Oregon athletics at Central High School, Western Oregon University and George Fox. "Becci will bring an excitement and dynamic attitude to BHS volleyball," Blok said. "She creates culture around her that builds and strengthen athletes in many ways. Her work ethic and positive energy will be strong attributes that complement her skill development, experience and expertise with volleyball. Coach Harper is a high-quality addition to Beaverton High and she is looking forward to getting in the gym, moving the BHS Volleyball program to new levels of excellence.